Check out Tobi's Kendall Short Sleeve T-Shirt Dress Shirt dresses to the rescue. Look casually cool in the Kendall Black Short T-Shirt Dress. 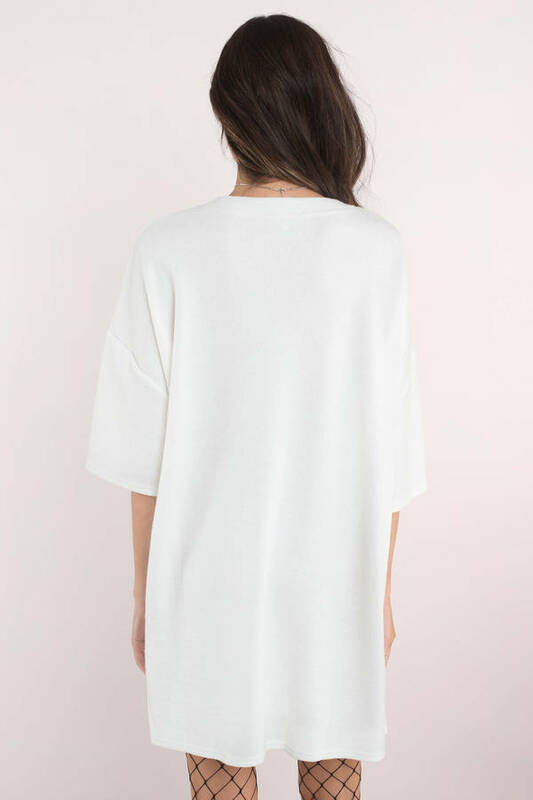 This pocket t-shirt dress features a classic oversized shirt silhouette with a crew neckline and loose cap sleeves on a stretchy polyester knit. Pair this short sleeve dress with chunky sneakers. One and done. Shirt dresses to the rescue. Look casually cool in the Kendall Black Short T-Shirt Dress. 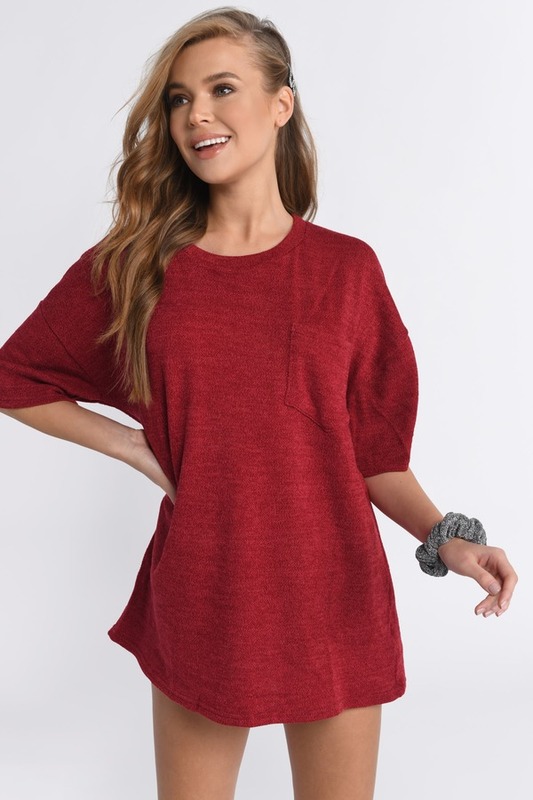 This pocket t-shirt dress features a classic oversized shirt silhouette with a crew neckline and loose cap sleeves on a stretchy polyester knit. Pair this short sleeve dress with chunky sneakers. One and done. Shirt dresses to the rescue. Look casually cool in the Kendall Red Short T-Shirt Dress. 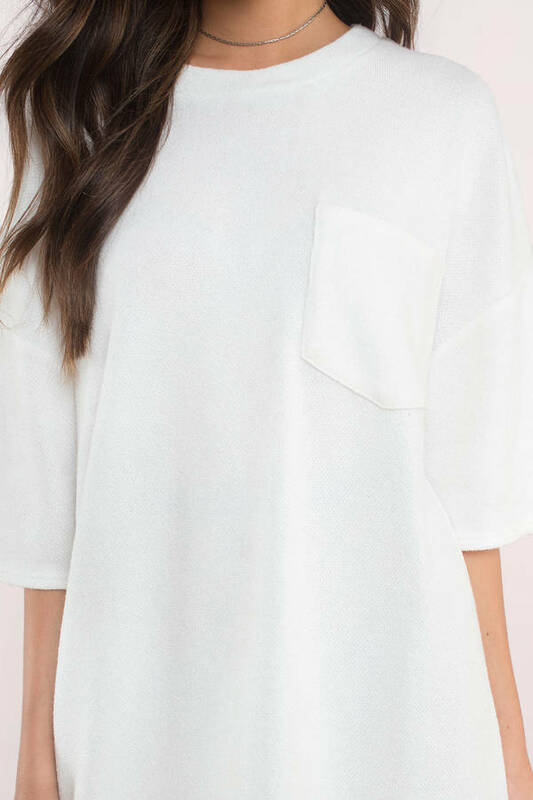 This pocket t-shirt dress features a classic oversized shirt silhouette with a crew neckline and loose cap sleeves on a stretchy polyester knit. Pair this short sleeve dress with chunky sneakers. One and done. Shirt dresses to the rescue. Look casually cool in the Kendall Ivory Short T-Shirt Dress. 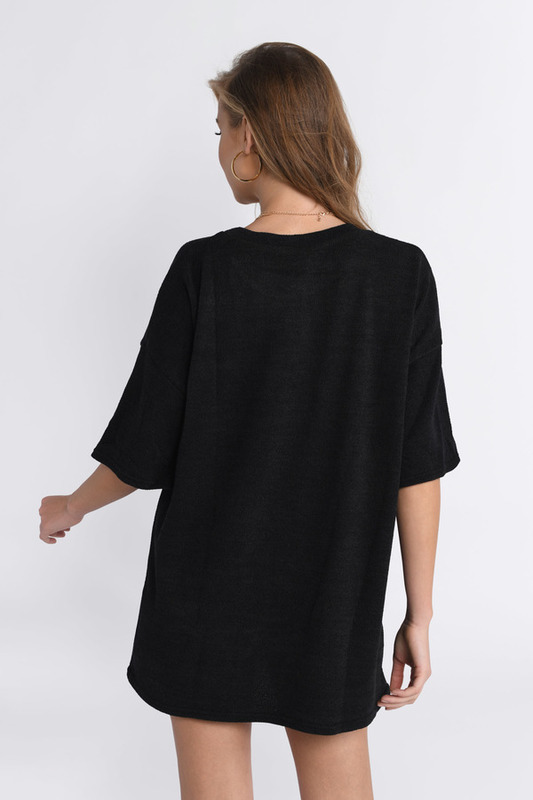 This pocket t-shirt dress features a classic oversized shirt silhouette with a crew neckline and loose cap sleeves on a stretchy polyester knit. Pair this short sleeve dress with chunky sneakers. One and done. Ivory modeled on a size X-Small.